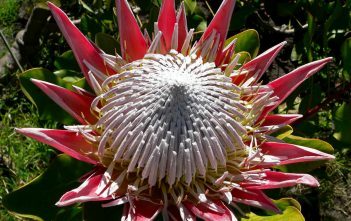 You are at:Home»Archive for "Protea"
Protea is both the botanical name and the English common name of a genus of South African flowering plants. 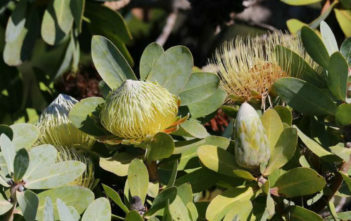 The genus was named in 1735 by Carl Linnaeus after the Greek god Proteus, who could change his form at will, because they have such a wide variety of forms. Back to Browse Flowering Plants by Genus. 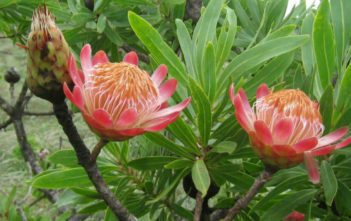 You can also browse flowering plants by Scientific Name, Common Name, Family, USDA Hardiness Zone or Origin.